Apart from Adler, Freud met someone else that made him think to be his heir. That person was Carl Gustav Jung. Jung was a psychiatrist in Zurich. In 1900, when Jung read Freud’s book The Interpretation of Dreams, right after its publication, he became highly impressed with Freud’s ideas. He began to use Freud’s ideas in his own practice. He became so highly influenced by Freud that he began to write to Freud, asking for his viewpoint about his own ideas. A regular correspondence began between the two in 1906. When they finally met in 1907, they had a meeting which lasted continuously for thirteen hours. Freud developed a deep sense of admiration and fondness for Jung. He decided to make him his successor, what he called “his crown prince.” In 1910, Freud founded the International Psychoanalytic Association and made Jung its first president. Jung held this position till 1914. Despite the fondness that they formed for each other, a rift began to develop between Freud and Jung. Jung began to apply psychoanalytic insights to ancient myths and legends in a search for the key to the nature of human psyche. Such independent thinking did not meet with Freud’s approval. 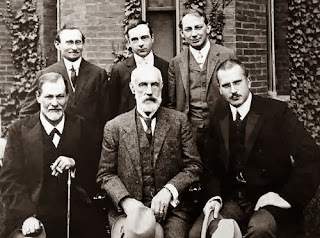 Freud felt that associating psychoanalysis with ancient myths and legends will give it a bad name and will thus, become an impediment in spreading psychoanalysis. Jung also differed with Freud on matters of sexuality. They both differed on matters of theory. Jung differed with Freud’s emphasis on sexuality and Freud questioned Jung’s interest in spirituality. Jung rejected Freud’s pansexualism, which became the main reason for their once intimate relationship being ruptured. It is also said that Jung made a critical analysis of Freud’s personal life that may have been another reason for the tensions between them. Due to all the differences and tensions between the two, Freud and Jung began to move in separate ways. In early 1913, they ended their personal relationship and a few months later their business correspondence. 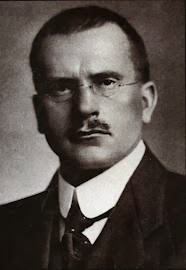 In April 1914, Jung resigned from the post of the president of the International Psychoanalytic Association, and in August 1914, he even withdrew his name as a member. After that Freud and Jung never saw each other again. Jung continued with his own interpretations of psychoanalysis, after moving away from Freud. He developed his own theory of psychoanalysis and his own method of psychotherapy, which came to be known as Analytical Psychology. He also redefined many Freudian concepts. Thus, once a relationship of fondness and admiration came to a bitter end. Freud used to find Jung to be inspiring. In Jung, he saw someone who could take his psychoanalysis forward. He very evidently saw Jung as his heir. But, their disagreements with each other developed a rift that was beyond healing. The relationship between the two that started on a highly positive note ultimately got severed forever. With this, Freud’s search for his heir also became bitterly unsuccessful. This is the end of the second part. The third (and final) part is about the person who ultimately became the intellectual heir to Sigmund Freud.